This Unit 21 Assignment Supporting Significant Life Events impacts both individual and their social networks equally. Significant life event means major changes in person’s circumstances that affect their whole life and their life is never same again after happening of that event. These life events can be normative events i.e. unusual and expected events which naturally happen to every human in their life time or it can be Non-normative events, which can be defined as unexpected, significant and unpredictable events. Significant life event leaves life time effect on a person’s life. This report is being prepared by taking cancer as a significant life event which is an unusual event. Cancer is a group of disease which involves cell growth with the potential to spread to other parts of the body (Jeronimus, Riese, Sanderman and Ormel, 2014). Although it is difficult to predict that what impact cancer and its treatment will have on someone’s life as the effect of cancer is different on all people but these are some of the common impacts of cancer. A cancer patient feels exhausted and tired and this feeling of tiredness cannot go away with sleep or rest. Cancer patient also suffers from lots of pains which can happen because of diagnosis and its treatment. Cancer makes a patient energy less and patient also feels depressed. Due to depression and stress, patient also loses their appetite and which results in loosing of health. When a patient’s starts changing physically it affects them mentally. So, because of health issues, a cancer patient feels less confident. Some of the side effects of treatment of cancer are risk of infection, nausea, vomiting, etc. as treatment of cancer includes surgery and lots of therapies. A cancer patient always feels uncertain and every time in their mind they get the thought of death. So, cancer causes lots of discomfort and pain. Cancer changes behaviour of a person in a negative way. So, overall impact of the cancer changes ongoing life pattern of the individual (Parkin, Boyd and Walker, 2011). Cancer do not affect only individual, it also affect people around them like family and friends. A patient is affected positively and negatively. As family members and friends give full help to patient it makes them happy as they also that someone is really concerned about their health. But sometimes it may affect them negatively as some relationship grows stronger but some may fade as some people try to run from the patient. Cancer affects everyone in the family. As by seeing the member of family not eating anything or getting pain or being depressed, concerns other members also. So, it affects mentally and emotionally to the people around them. Cancer changes the role of the patient as patient becomes dependent on others, which may be very challenging. It affects relationship with the spouse, as normally it happens that both the partners are responsible for their own work and that’s how their life works. But after being affected by such a danger life event, such responsibilities falls on one partner and sometimes it leads to frustration and resentment. But at the same time that partner feel guilty of being frustrated for burden of the responsibility of their own partner which disturbs them mentally. It also affects relationship of friendship as sometimes friends do not share some news or their plans with the patient that affects both. Family members engage themselves fully in the care of patient so sometimes they get frustrated because they cannot take out time for their own work. The most important thing for the patient of cancer is to communicate with them properly as it will not make them lonely and it will help in knowing the desire of the patient. So, overall it can be said that family can provide emotional support at the time of such dangerous life events and friends and colleagues often provides social support which involves some sort of practical help and advice from people (Schwartz and Blot, 2006). As per research, it is being analysed that cancer patients are given very nice care in the health and social care units, which helps them to recover faster. But as every cancer patient has different types of cancer symptoms like blood cancer, breast cancer, stomach cancer, throat cancer, lung cancer, etc. and it can be in any part of the body like once its bacteria starts to develop and if it is not given proper then it may spread in any part of the body. So, different patients of cancer are given different care. So, professionals and staff of the care unit should be properly trained regarding the treatment and care of cancer patients. Health and social care unit mainly provides professional support as they are properly trained to deal with the complex health problems. Cancer patient needs various types of therapies, if their problem gets more dangerous. So care units also appoint therapists for the care of patients. They do the patient’s functional ability’s assessment and also assess their physical environment and help patient for their personal development and to maintain their daily living skill. But as sometimes care workers are involved in the care of patient day and night and do not get time for their own life and by seeing the pain and problems of the patient they also gets depressed and sometimes they also have the feelings of fear as all these care sometimes disturbs them emotionally, mentally and physically. Some patient care who suffers from disabilities are given therapies and once therapies starts it gives them lot of pain so it becomes necessary that one person should be full time with the patient as patient is not able to sleep, not able to eat and not able to live a proper life and day and night patient play between life and death. So, health and social care workers and professional also suffer from the problem of sleep deprivation and anxiety (Sasco, Secretan and Straif, 2004). Making strict laws to ban smoking and alcohol at public places and workplaces. Introducing high tax rate on tobacco. Ensuring people can get healthy meal and nutrition food easily. Encouraging people to do more and more exercise. Identify the patient’s needs and desires. Link patient with the service provider and provide effective communication between them. Provide financial and mental support to patient and their family. Coordinate with patient to deal with their illness easily and provides psychosocial and biomedical care. Reorienting health services and helps in developing personal skills. Creating supportive environment like healthy social and physical environment for the patient. Organizations main goal is to improve the quality of life of cancer patients and their families everywhere in the word. According to their policies they believe that whether a country is lacking in resources of cancer treatment, their well-managed and well-conceived national cancer control programs can help to improve the life of the cancer patient and their social networks. 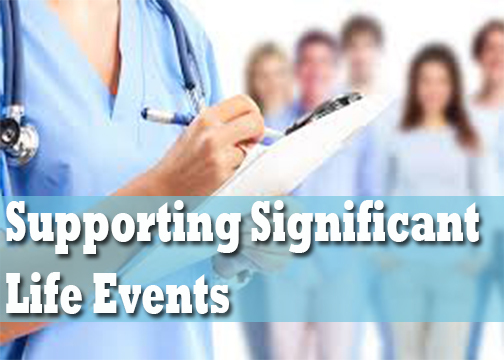 All organizations make provision and plan in advance for the support of patient. So, organization’s effective policies and procedures support both individual and their social network to deal with the significant life event (Kaatsch, Sikora and Pawelec, 2010). Apart from family, friends and health care workers and professionals, other people can also support an individual who are suffering with such a dangerous significant life event and help them to live a normal life. Others can provide mental support, financial support or physical support. Sometimes due to short of money, people are not able to get proper treatment, not able to get proper nutrition food, cannot afford taking costly medicines. So, other people in social networks can help financially or can give some eatables in the health care unit. People in social networks can also support by raising awareness about cancer through conducting online classes and by making groups on some online sites. Many people suffering from cancer are not aware of health care units of cancer, so through online or by conducting classes in their nearby areas, they can raise awareness about the cancer and its treatment. People can also take out just 2 or 3 hours daily from their schedule and go to some care units and can serve their by any manner. It will also be a great help to the patient of cancer, as patient gets happy when they know that someone else is also concerned about their health. People can also help them mentally as they can ask patient to share some experience of their life and can also share some happy incidents of their own life. Communicating with patient also makes them feel relaxed. For cancer patient, exercise also helps to be fit. So, other people in social networks can go to health care or can also support any individual around them by asking them to go for a walk or by doing exercise with them. Online support can also be provided regarding exercise (Ward, Lewis and Coleman, 2007). The biggest problem of getting significant life events is depression. So, disease like cancer causes depression to patients as they know that there life is not going to be the same again. So, to deal with such situation, apart from friends and family they also need external support. The first and the best external support is doctor, as doctor is the one who knows what the disease actually is and how to treat the same. Doctor can also support mentally by making patient ensure that they can recover from their disease faster if they take care of it properly. Second external source can be nurses as getting significant life event like cancer requires great care. After consulting doctor, nurses are the one who will take care of all other treatment like giving medicines, taking care of their food, etc. so nurses will make conversation with the patients regarding at what stage they are i.e. about their progress of recovery. Health care organizations also give proper care to the patient to recover them faster. They make them feel easy by communicating with them and knowing their needs and desires. Communicating with other patient also helps a patient to overcome with the problem of depression as they can easily share their problems with each other and it makes them feel better. So sometimes meeting the people who has same type of feelings and when they show how they have adapted the same, can help patient to accept their own situation easily and which can help them mentally. So, external support can help cancer patients to improve their life cycle (Grange, Stanford and Stanford, 2002). 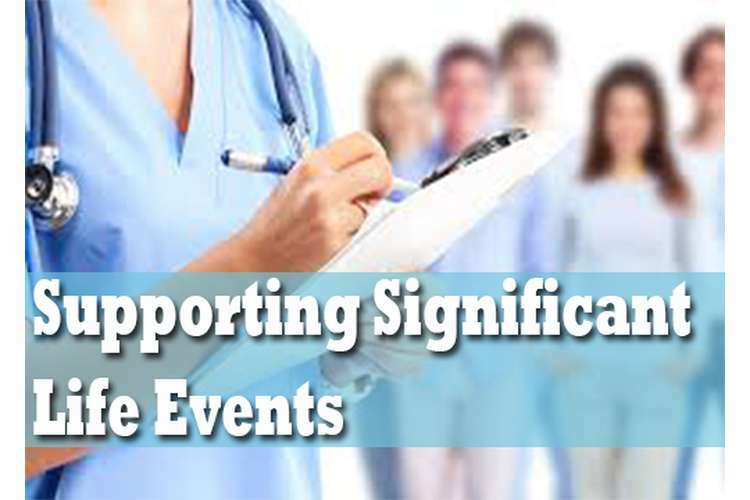 Different organizations have different set of responses for an individual who is experiencing a significant life event. And their reaction is a lot dependent on the way they have developed attitude towards such people and patient. First and foremost would be the government agencies and support service organizations for cancer patients who would provide guidance, counselling and all treatment options which are available to a person. In UK NHS and cancer research and treatment department are working round the clock to develop strategies for the management of cancer patients in UK. Recently 4th national cancer strategy has been published in UK which provides appropriate guidelines and strategies for tackling this problem. These organizations are mostly planning and policy framework development related organizations and they can guide and direct service providers regarding needs and quality of the services needed. Secondly they can also help in providing the much needed statistics and resolving any grievances which patients and their families might have with the service providers (Barker, 2003). Second type of response is the quick assessment of the situation and accordingly guiding the patient towards the right care centre. This would be done by the clinics, hospitals and general practitioners who would diagnose the patient. They would be able to assess the need of the patient in a proper manner and they can also recommend care services according to the level of cancer stage and prognosis and expected degeneration which a patient might experience. It is also important that these organizations regularly take follow up on their referrals and even assess the prognosis over the period of time. Third type of response is from care giver organizations like cancer care UK and ONS etc. which provides supportive treatment and palliative care to the patients, psychological support to the patient and their families. These care givers would be the doers for the patient and they would respond with a long term strategy and tactical planning for the patient. They would be giving support services, daily treatment needs and they would also ensure that patient remains comfortable and pain free as much as possible. I think my personal contribution towards support of individuals experiencing significant life events is still in a developmental phase. I have learned the basics of support providing to the individuals and their families and I also learned the importance of not just providing words of sympathy but there should be genuine concern and nonverbal body language which supports the action. I believe my communication skills are good and I can connect with the patient and their family on a psychological level easily it might be because of the fact that I have experienced loss of family members and I can understand how it feels. I feel in case of patients suffering from cancer there is a need to know about the technical aspect of the disease regarding their prognosis and time duration and chances of survival. Sometimes it is difficult how to explain the upcoming treatment and even in case of terminal disease to specific age groups like children and old age. This is something which I would like to learn better through experienced senior care givers. 3.3 Make recommendations for improving the support available in a health and social care organisation for individuals and their social networks when affected by significant life events. 1. There should be specific and standard operating procedure in case of terminal disease and in case of certain age group like children there should be different approaches. Their friends and social circle should be involved and informed regarding how they should behave and how they should not be sympathetic or overly protective for such patients. 2. Employees should be given regular training and development programs so that they can get patient properly engaged and involved with the support and they should be able to provide periodic and regular intervention to the patient. 3. Care giver should develop a family centric approach where family should not just be informed about the treatment and support approach but they should be involved as a part of the care giving team. They are the best person to inform about the needs of patient, their preferences and things which cheer them up. Thus they can help in reducing the burden on care service provider and also bring positive and better results readily (Taylor, 2011). In Unit 21 Assignment Supporting Significant Life Events it can be said that now days, cancer is one of the most common cause of death everywhere in the world. A cancer patient always feel scared, get stressed and gets angry due to unwanted changes which cancer brings to their life. Cancer affects a person physically, emotionally and mentally. Overall effect of cancer leaves a person helpless. Various national cancer programs are held worldwide like international childhood cancer day is also held which highlights about the treatment of cancer and express support for children’s care. WHO cancer control program is also held whose main mission is to promote national cancer control policies plan and programs. Kaatsch P, Sikora, E, Pawelec, G (2010). "Epidemiology of childhood cancer, Cancer treatment reviews (page no. 57-68).